If you love doughnuts, enter below for a chance to win some free doughnut product coupons and other swag! Entenmann’s and The Salvation Army are rolling out the red carpet for the arrival of the newest flavor to the world famous donut line…the Red Velvet Donut, which will be making its debut this spring before the national holiday on June 6th, 2014. Entenmann's Master Baker Kathleen Robbins and her Research & Development team have created their first-ever Red Velvet donut recipes made to perfection. 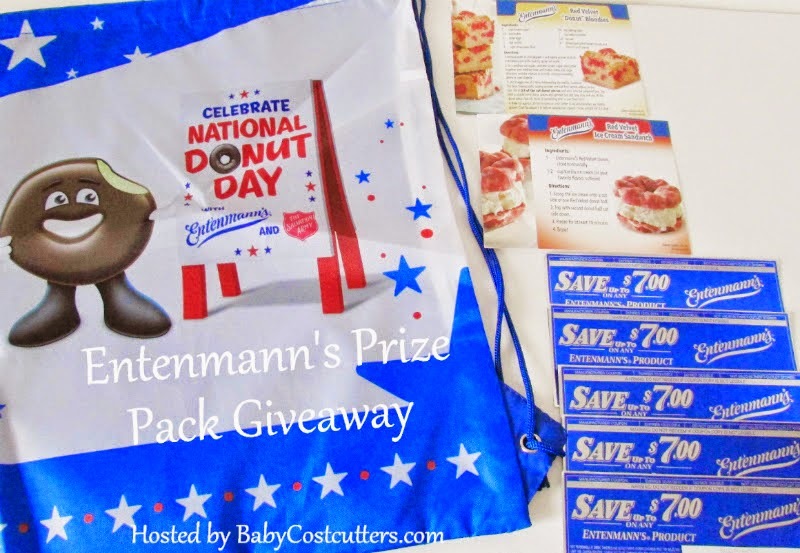 You can also enter the National Donut Day Sweepstakes on the Entenmann’s Facebook page ends June 30th, 2014 for the chance to win lots of prizes, including Entenmann’s products for a year, awarded as fifty two (52) coupons, each redeemable for any Entenmann’s product (up to $7.00 value) and Entenmann’s Mr. & Mrs. Rich Frosted Plush Toy. my favorite is vanilla long johns. I like the chocolate iced donuts best. I love the chocolate frosted donuts. Thanks so much. I do enjoy chocolate donuts. I would like to try the red velvet. My favorite donut is the vanilla frosted cake donut with sprinkles! My favorite donuts are Entemann's chocolate frosted. I like the chocolate yeast donut and or plain glazed. Chocolate cake donuts are my favs. I like Entenmann's crumb donuts, or icing filled donuts. My favorite donut flavor is chocolate dipped. The best with coffee. I love chocolate covered/creme filled the best but their new Red Velvet donuts look delicious! I like chocolate donuts. I haven't tried them, yet, but I think I would love the red velvet. French crullers are my fave. Maple bars are my absolute favorite, then anything jelly or cream filled! I like chocolate frosted donuts with sprinkles on top. I love cream sticks/long johns. Anything strawberry is a close second. Lemon filled are my absolute favorite. I hardly ever get to have them so it makes it even better when I finally get my hands on one. I love glazed donuts covered with chocolate icing. I love chocolate frosted or jelly donuts! Chocolate donuts are my favorite. I like creamed filled ones. I love the plain glazed raised donuts. I love to get chocolate covered donuts. I love chocolate covered cake donuts! My favorite kind of donut are glazed donuts. I like jelly donuts, especially raspberry filled ones. I love powdered sugar donuts. I love blueberry fritters or crumb donuts! I love Entenmann's Devil's Food Donuts. I like glazed sour cream donuts. Chocolate of course but I bet red velvet is really tasty. My favorite donut is honey glazed. I love the Entenmanns Chocolate rasberry donuts. Wish they made jelly donuts too. Classic chocolate with yellow cake center. My favorite is chocolate covered glazed doughnuts. I love chocolate frosted donuts the most. My favorite is the Bavarian cream donut. My favorite is Chocolate covered chocolate! My favorite is a glazed filled with whipped cream! chocolate covered and powdered sugar! Maple is my fav flavor. My favorite kind of donuts are powdered donuts. Either sugar or cinnamon coated. I love the chocolate crumb donuts! I love Entenmann's chocolate covered donuts. I love a simple glazed donut with a Bavarian cream filling! I love chocolate covered cream filled donuts. I haven't indulged with one for awhile but they are my absolute favorite! i like chocolate covered donuts with vanilla creme inside the middle, they are so good. The powdered flavor is my favorite. My favorite type of donut is glazed. My favorite flavor donut is a white glazed with sprinkles. I also love chocolate donuts. I love the powder doughnuts. I love the chocolate covered donuts. Thanks. 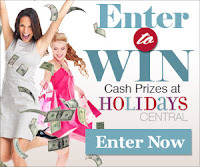 Thanks for the giveaway…favorite donuts---> Cinnamon !! !